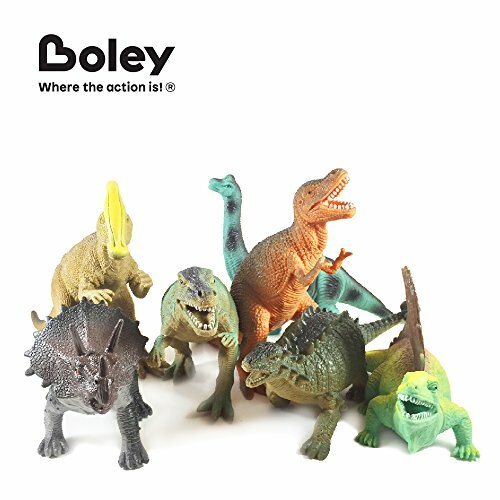 BOLEY (12 Pack) 9" Educational Dinosaur Toys - Kids Realistic Toy Dinosaur Figures for Cool Kids and Toddler Education! (T-rex, Triceratops, Velociraptor, etc) Great Gift Set and Party Favors! HomeAction FiguresBOLEY (12 Pack) 9″ Educational Dinosaur Toys – Kids Realistic Toy Dinosaur Figures for Cool Kids and Toddler Education! (T-rex, Triceratops, Velociraptor, etc) Great Gift Set and Party Favors! 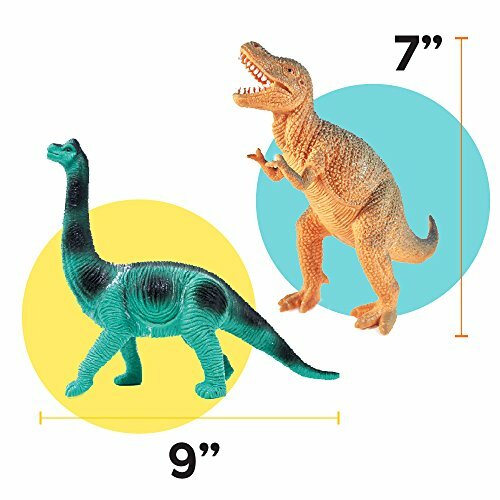 BOLEY (12 Pack) 9″ Educational Dinosaur Toys – Kids Realistic Toy Dinosaur Figures for Cool Kids and Toddler Education! (T-rex, Triceratops, Velociraptor, etc) Great Gift Set and Party Favors! 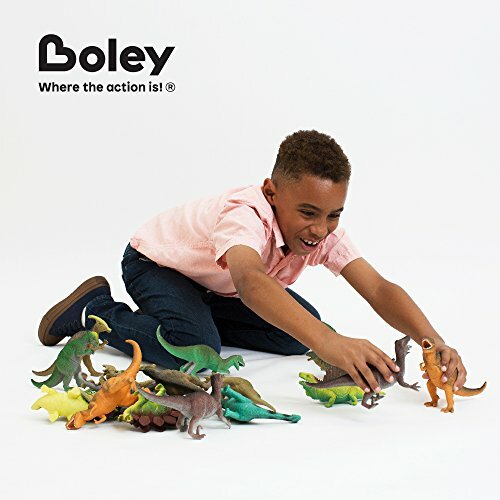 Buy BOLEY (12 Pack) 9″ Educational Dinosaur Toys – Kids Realistic Toy Dinosaur Figures for Cool Kids and Toddler Education! (T-rex, Triceratops, Velociraptor, etc) Great Gift Set and Party Favors! at Discounted Prices ✓ FREE DELIVERY possible on eligible purchases. DURABILITY: 12 unique dinosaur with vibrant colors. 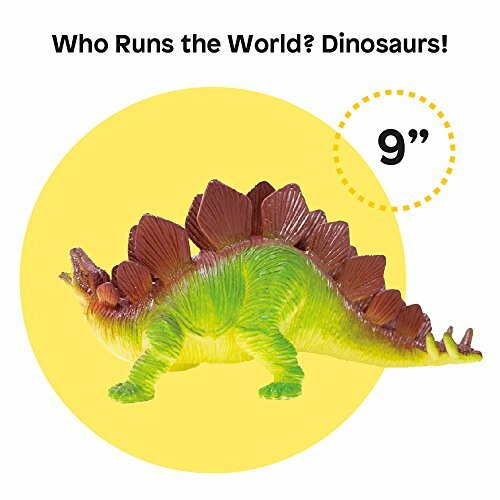 Made from durable, flexible, long-lasting vinyl Kids will enjoy hours of Imaginative Play with realistic-looking dinosaurs. Fun and educational for both boys and girls alike. Just right for a school / science project or report. MATERIAL: Introduce your child to the wonderful world of dinosaurs, and turn their little world into Jurassic period with these realistic dinosaurs! Made from durable,nontoxic, bpa free high-quality plastic, strong enough to withstand hours of rugged play. 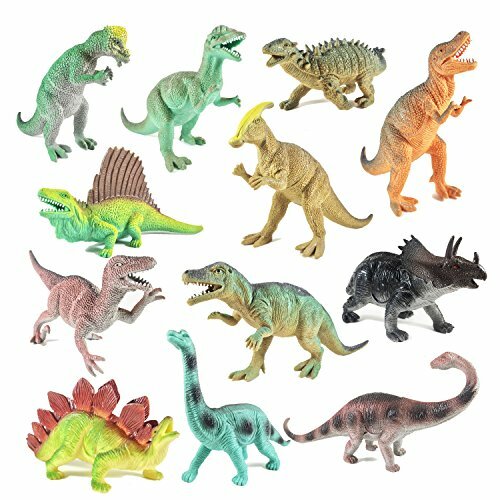 IMAGINATIVE PLAY: These large realistic dinosaur figures will spark hours of imaginative play. Durable enough to be used indoors or out, their uniquely molded textures and richly painted details bring them to life and help inspire creativity for kids. MEASUREMENT: A dino lovers delight! Large 9" Dinos. Travel through time with realistically detailed dinosaur friends that inspire imaginative play and curiosity about science and history. 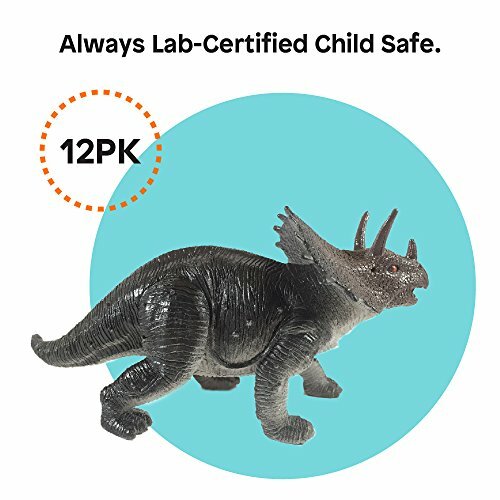 GIFT: Fun dino toys tested and approved by real kids. Great for stocking stuffers, party favors, birthday party games, educational purposes, party decoration, party favors, handouts or rewards. Ideal party favor or gift for a dinosaur themed birthday party.